Read more about the conference: http://ceramicartsdaily.org/potters-council/functional-ceramics-beyond/ BROOKE NOBLE Pictorial Porcelain: Enhancing the Surface with Pattern, Design, and Personal Narrative Brookeâ€™s demonstration will include various ways in which to make forms as well as an array of ways to excite the surface with several decorative techniques being shown and exercised by those who attend. Participants will gain a new vocabulary of skills and technique and take home ideas on how to develop and expand on their own personal style. The presentation of methods will focus on enhancing the ceramic surface through a variety of techniques. Participants will learn how to add interest and voice to the surface of functional pots and other porcelain forms. Methods of creating forms will be discussed and shown are: simple wheel throwing, wet hand-building on the wheel head, soft-slab construction, slip-casting, and a coil-building/pinching technique used to create texture. By employing various ways of making, Brooke will create forms with which to embellish the surface, and practice several decoration techniques. These techniques include: mishima, sgraffito, thermofax â€œscreen-printingâ€, shellac resist, slip trailing, plaster image transfer, the use of text and font, using templates for slip application, as well as some glazing tips. Conversation about design choices, composition, and the inclusion of narrative as a vehicle for personal messages will be encouraged. Hands On: Participants will practice some of the demonstrated techniques by decorating blank porcelain tiles using carving tools, colored slips and underglazes, type-font, and screened imagery. Additional Information: Brooke Noble (b. 1979) received her B.F.A. from Syracuse University and attended Southern Illinois University in Edwardsville, Illinois for her M.F.A. Between degrees, she was a resident artist at three studio art centers: Vermont Clay Studio, Anderson Ranch Arts Center, (CO.) and Bluseed Studios of Saranac Lake, NY. Ceramics has taken Noble to many destinations both nationally and internationally in an exchange to both learn and teach ceramic techniques. Highlights for her include kiln-building at Good Hope Plantation in Jamaica and Studying Abroad in Oaxaca State, Mexico during Graduate School. Brookeâ€™s work has been exhibited in numerous reputable galleries nationwide and has been published in books and periodicals. She has been an active volunteer for the NCECA organization and has received artistsâ€™ grants and awards for her research in the clay medium. In addition, she enjoys teaching classes and workshops to both adults and children in the Adirondack communities of Saranac Lake and Lake Placid, NY as well as traveling nationally to Art Centers and Academic Institutions to share in her experience. 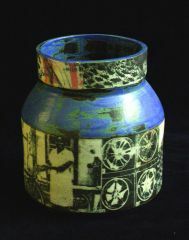 Read more about conference: http://ceramicartsdaily.org/potters-council/functional-ceramics-beyond/ TOM LUCAS The Printer and The Potter Tom will demonstrate a true printmaking approach to surface decoration on clay with a focus on how images can be transferred onto functional forms. Using printmaking techniques such as lithography, screenprinting and relief, he will discuss the unique ways to get everything from text, drawing and photographic images onto to the clay surface. Highlighting the printed images on clay with transparent glazes and wax-resist will bring together the best of what the print shop has to offer to the clay studio. There will be a discussion about the pros and cons with printmaking techniques on green ware as apposed to bisque. Clay bodies with a low grog composition work the best to transfer images so a range of clay bodies can be used. Many of the modified underglazes work to cone 10. These processes work with a basic modification of Amaco underglazes, engobes and glaze from both dry and wet states. In order for them to possess the qualities of printing â€œinkâ€, Tom will discuss the variations between oil-based and water-based mediums used in making the inks for pulling prints onto clay. Hands On: Conference attendees will get the opportunity to print images onto clay tiles utilizing some of the demonstrated printmaking approaches. Additional Information: Tom is an artist, educator and master printer who in addition, has been working with clay for the last 15 years. His work incorporates materials and imagery that reflect his memories and experiences. The goal is to communicate the past the present and the future in his work simultaneously. He is the Director of the Printmaking Department at the Lillstreet Art Center and founder and master printer for Hummingbird Press L.A.C. also housed at Lillstreet in Chicago. Tom has taught classes and workshops at Penland School of Crafts, The School of the Art Institute of Chicago and Anchor Graphics at Columbia College Chicago, and SkopArt in Skopelos, Greece. Tile + Architectural Ceramics conference is fast approaching. This thread is for those attending who would like to have an online place to meet and discuss the event before, during, and after the conference. Sounds like a fabulous idea... at your next group/guild/class meeting... do a potluck and require that it be on pottery and bring the recipe... And of course we all want to see pictures and recipes... 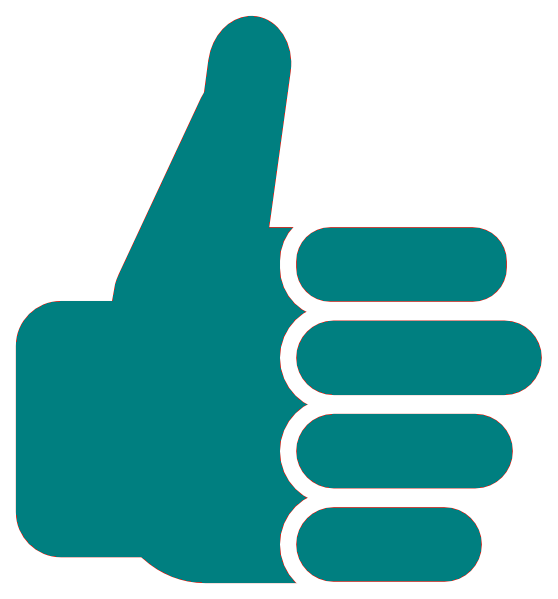 I am working hard to put a conference together for 2012 with this theme. Inspired Ceramic Surfaces conference is fast approaching. This thread is for those attending who would like to have an online place to meet and discuss the event before, during, and after the conference. Members of Potters Council can submit to have their own personal online artist portfolio. The Potters Council Artist Portfolio promotes members' work to the public and to your peers. Tap into the world-wide exposure Potters Council members receive with their expanded artist portfolios that are visited by thousands. Each member has an exclusive web link to their portfolio that included up to three photos of their work, contact information, and brief description of themselves and their work. To see online portfolios go here: http://ceramicartsda...ist-portfolios/ To Browse Artists go here: http://ceramicartsda...browse-artists/ For members to request their own personal portfolio go here: http://ceramicartsda...equest-listing/ Not a member, go here to join and then submit your listing: https://www.pubservi...e.aspx?PC=PQ&PK As you browse through the artists... be sure to leave an encouraging comment or paste the link here so we can all take a look! Your welcome Laurie... It is an important benefit... Have a great day! Architectural Clay & Tile Potters Council Conference In 2011, Where Is It Being Held? Just wanted to let you know that we announced the Tile+Architectural Ceramics Conference. Here is the link: http://ceramicartsdaily.org/potters-council/tilearchitectural-ceramics/ If you have any questions, please contact me at anytime. Laurie, I just arrived at work, and had the message in my inbox from Jennifer... So thanks for posting this last night. Laurie in Cali, Good Morning! I have a call into Chase Paymentech. Once I hear back from them I will post here. If you private message me with your email I will contact you directly with the news as well. Disappointed that they did not follow through with their promises. I will work swiftly to resolve this issue.